What can a sport pilot do? Information on becoming a sport pilot is here. The sport pilot certificate makes the thrill, satisfaction, and excitement of aviation available to more people by reducing the complexity and cost. 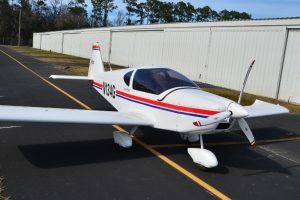 A sport pilot may fly light sport aircraft, or LSAs. Light sport aircraft can have a maximum weight of 1,320 pounds, cruise up to 120 knots (138 mph), and are simple to operate, while still being capable performers with some of the most advanced avionics available. You cannot be paid to fly passengers or property. As a sport pilot, you may not act as a pilot in command of an aircraft that is carrying passengers or property for compensation or hire, nor may you be paid to act as a pilot in command. Additionally, you may not fly in furtherance of a business or for any employment reasons. You can operate during the day only. You can fly up to 10,000 feet above sea level, or 2,000 feet above the ground, whichever is higher. Additionally, you must maintain visual reference with the surface. No flight in or above the clouds. You may carry up to one passenger. You may equally share the operating expenses of a flight with your passenger. These expenses may only involve fuel, oil, airport expenditures, or airplane rental fees. Additional training is required to fly in certain busier types of controlled airspace. Class B, C, or D airspace requires additional training in order to operate in these areas. Additional training is required to fly faster LSAs. This applies if you intend to fly an LSA with a normal level-flight cruise speed over 87 knots (100 mph). Many LSAs are certified up to 120 knots in level cruise. Operations outside the U.S. require special permission. You may not fly outside the United States, unless you have prior authorization from the country in which you seek to operate. Your sport pilot certificate carries the limit “Holder does not meet ICAO requirements.” ICAO is the International Civil Aviation Organization. Be in good health as evidenced by holding a U.S. Driver’s license. Receive and log ground training from an authorized instructor or complete a home-study course such as the Gleim Sport Pilot Kit. Pass a knowledge test with a score of 70% or better. 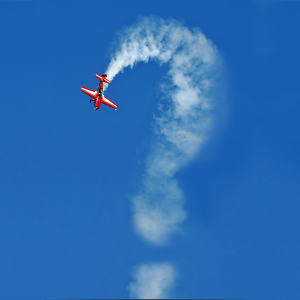 The sport pilot knowledge test consists of 40 multiple-choice questions selected from all of the airplane- related questions in the FAA’s sport pilot knowledge test bank. Receive flight instruction and demonstrate skill (see 14 CFR 61.311). Accumulate appropriate flight experience (see 14 CFR 61.313). Receive a minimum of 20 hr. of flight instruction and solo flight time. Successfully complete a practical (flight) test, which will be given as a final exam by an FAA inspector or designated pilot examiner; it will be conducted as specified in the FAA’s Sport Pilot Practical Test Standards. Are you ready to become a sport pilot? Get more information here. If you intend to fly with more than one passenger, for business purposes, or to eventually pursue a career as a commercial pilot, then consider the private pilot certificate instead.